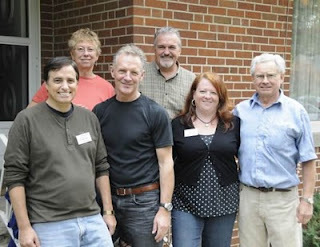 The Canadian team: (Left to right): Steve Allen, Kathy Greiner, Doug MacDougald (Team Leader), Mike Foster, Danielle Lalonde, and Andy Greiner. Doug MacDougald is helping the world, one child at a time. The Stratford man is leaving for Bangladesh today to help distribute some 6,000 bed kits through Sleeping Children Around the World, a Canadian charity that believes every child -- no matter how impoverished -- has a right to a comfortable night's sleep. Included in the bed kits are sleeping mats, bedding, mosquito netting, clothing and school supplies. The $35 kits, paid by donations, are desperately needed in Bangladesh. "These are some of the poorest children in the world," said MacDougald, who has travelled to the South Asian country twice before to distribute the kits. Each time, it inspires mixed emotions, he said. "It's very rewarding on the one hand, but it's also very conflicting on the other hand," he said. "We have so much here, and they have so little. So you see how fortunate we are, how far $35 goes in Bangladesh and how important it is to a child and their family and their community to receive this kind of donation from folks in North America." What's "heartbreaking" is that for every child who gets a bed kit, countless others are still in need, he said. Stratford's Doug MacDougald is shown in Bangladesh on a 2008 volunteer effort with Sleeping Children Around the World. MacDougald is heading back to Bangladesh today to help distribute bed kits to needy children. But seeing the look on the children's faces as they receive their kits is gratifying, said MacDougald. Volunteers also ensure there's a personal connection between donor and recipient. A photo is taken of each child who receives a kit, showing the donor's name and country on a label. Each photograph is then mailed back to the donor. MacDougald pointed out that Sleeping Children Around the World is a so-called "100% charity," meaning there is no overhead. "One hundred per cent of your donated money goes to the child," said MacDougald, noting the charity gets its message out mainly by word of mouth and donors don't receive letters or phone calls or followup requests for donations. Participants pay their own expenses to travel abroad and distribute the bed kits with the help of overseas volunteers. MacDougald will lead a six-member team of travelling volunteers during his time in Bangladesh, which is expected to last just over two weeks. More information about the initiative, including regular blog updates, can be found at www.scaw.org. Note: You can also read and/or subscribe to the Live Reports Blog. 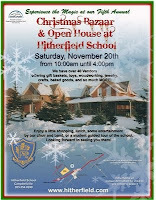 On the 27th November 2010 from 5 to 7 p.m. we will be having our fund-raising event at St. Paul’s Church at 227 Bloor Street East. There is also a shift in the program content. As well as using some of our regulars – we are hoping to add the international flavour of music and dancing from some of the countries we supply bedkits to. For the past 9 years, we have been able to have our fundraising concert at St. James cathedral and they did not charge us any rent. This then meant I could assure everyone that 100% of all monies raised went to SCAW, as we have a sponsor who covers the cost of printing of flyers, tickets, flowers and honoraria for the performers. Last year things changed and St. James charged me $1,600. This meant that I then had to raise the ticket price from $10 to $15 to cover the cost of rental. For our concert this year we have moved to St. Paul’s and the rental is $1,000 plus $200 to cover insurance costs. Also, the cost for the 2009, 2010 editions of our calendar was covered by 2 donations I made -- first in the memory of my Mother and then my two Fathers. Last year, some of the money raised at the concert went towards funding the 2011 calendar. That process will now be repeated until another sponsor for the calendar comes forward. All proceeds from the sale of the calendars go to buy bedkits. I thought it important that you knew what was happening and I do hope you, your families and friends will be able to join us on the 27th of November from 5 to 7 pm. Please ask your friends to post this info on Facebook or Twitter. Our great SCAW 2011 calendar will also be on sale at the concert! The StarsUnite for Charity website is currently hosting an auction of a pillowcase signed by American Idol winner Lee DeWyze and American Idol contestant Aaron Kelly. 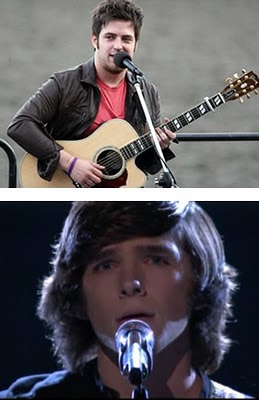 About the Lee DeWyze pillowcase they said: "Lee DeWyze American Idol Winner won the hearts of many fans during Season 9. While touring in Philadelphia, Lee generously signed a pillowcase. As an added bonus, Season 9 contestant Aaron Kelly signed it too!" A second auction is of a pillowcase signed by American Idol contestant Tim Urban. About the Tim Urban pillowcase they said: : "Tim Urban, American Idol contestant autographed this Pillow Case and the proceeds will benefit the wonderful charity "Sleeping Children Around the World" (SCAW). SCAW has been helping children around the world for 40 years!" You can go to the Stars Unite website and bid on the items to help Sleeping Children around the World. 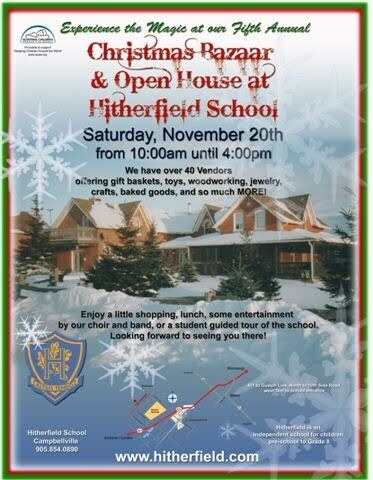 On Saturday, November 20th from 10 am to 4 pm you can help Sleeping Children Around the World and experience the magic of the fifth annual Christmas Bazaar and Open House at Hitherfield School. 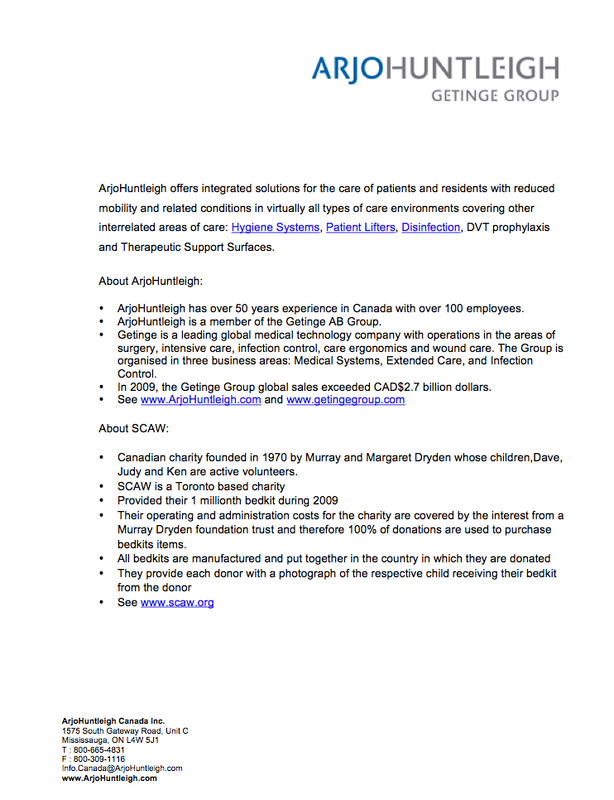 ArjoHuntleigh announces a strategic partnership in support of the Toronto based charity Sleeping Children Around the World. To download the press release, click graphic to right. 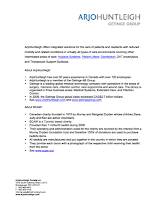 ArjoHuntleigh Canada Inc.: ArjoHuntleigh Canada Inc. announces a strategic partnership in support of the Toronto based charity Sleeping Children Around the World. Whether you are in the twilight years in a Canadian long term care facility or the formative years across the world in a developing country the importance of a secure and comfortable night sleep cannot be overstated. Realizing the importance of sleep, ArjoHuntleigh is proud to support Sleeping Children Around the World. 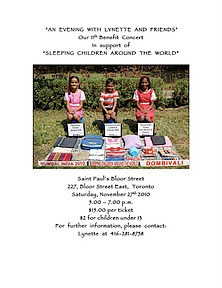 The local Toronto based charity provides bedkits to needy children in developing countries. General Manager of ArjoHuntleigh, John Thiessen, commented, "Sleeping Children Around the World stood out to us as one of very few charities who ensure that 100% of their donations reach a needy child. We applaud their passion and volunteers. We plan to donate bedkits related to our success with bed sales in the long term care market". 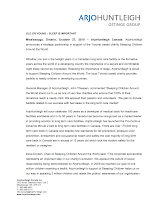 ArjoHuntleigh will soon celebrate 100 years as a developer of medical beds for healthcare facilities worldwide and in its 50 years in Canada has become recognized as a market leader in providing solution to long term care facilities. ArjoHuntleigh has launched the Pro-Contour Advance Minuet 2 bed to long term care facilities in Canada. There are over 170,000 long term care beds in Canada and despite new standards for fall prevention, pressure ulcer prevention, entrapment and occupational health and safety the vast majority of long term care beds in Canada are in excess of 15 years old which lack the modern safety for the resident or caregiver. Dave Dryden, Chair of Sleeping Children Around the World said; "This corporate sponsorship represents an important step in our charity's evolution. We applaud the culture of social responsibility being demonstrated by ArjoHuntleigh. In 2009 we reached our goal of one million children receiving a bedkit. ArjoHuntleigh's support of Sleeping Children helps us on our way to assisting 2 million children and raises the publics' awareness of our organization". ArjoHuntleigh offers integrated solutions for the care of patients and residents with reduced mobility and related conditions in virtually all types of care environments covering other interrelated areas of care: Hygiene Systems, Patient Lifters, Disinfection, DVT prophylaxis and Therapeutic Support Surfaces. For more information about ArjoHuntleigh and SCAW, click the graphic to the right. Ten years ago today, October 1, 2000, Aktion Club officially became a program of Kiwanis International. The first Aktion Club was organized in Putnam County, Florida by George D. “Jake” Swartout, 1988-89 Kiwanis Governor. The Aktion Club concept spread throughout the Florida District and throughout the Kiwanis world. Currently, there are 467 clubs and 9,425 members worldwide. Thanks to all who have been involved including members, advisors, sponsoring clubs and agencies that support individuals with disabilities. Aktion Club would not be where it is today without all of your dedication, service hours and fundraising efforts! The affects of Aktion Club on our members and communities is one of true value. Aktion Club members give an estimated 92,484 hours of service each year, performing a variety of community services, such as environmental projects, park beautification, food drives, nursing home visitations and assisting Kiwanis clubs with their projects. Sleeping Children Around the World is Aktion Club’s service initiative that has kept Aktion Club members focused on their fundraising efforts. Members, along with the Kiwanis International Foundation, have provided thousands of bedkits to children in underprivileged countries. Aktion Clubs support and uphold the Kiwanis mission of Serving the Children of the World. Congratulations, Kiwanis Aktion Club! Here’s to many more years of service.